The Smith River, known for its trophy-size fish, is a major route for migrating fish to their native spawning grounds. When a 1964 flood destroyed much of the spawning population, a need for a fish hatchery arose. In 1968, the Kiwanis Club in the town of Smith River raised enough money to sponsor the construction and operation of the first privately owned fish hatchery in California. Today, this nonprofit hatchery is open for daily tours. The goal of the Rowdy Creek Fish Hatchery is to increase and perpetuate runs of steelhead and Chinook salmon. The hatchery operates 365 days a year, and is open to visitors from 9am to 4pm weekdays. Fish are present at the hatchery year-round, but spawning season is when the hatchery is most active. Fall (usually November and December) brings busy excitement to the hatchery with the spawning of Chinook salmon. Monday and Thursday mornings, which are spawning days, offer the best chance to see the process. 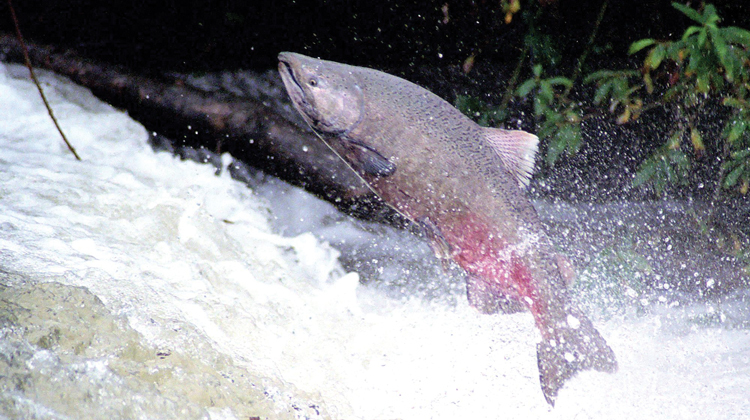 Steelhead return to the hatchery from January to March. The hatchery raises more than 100,000 steelhead each year. A “catch and release” fishing derby is sponsored by the hatchery every spring.